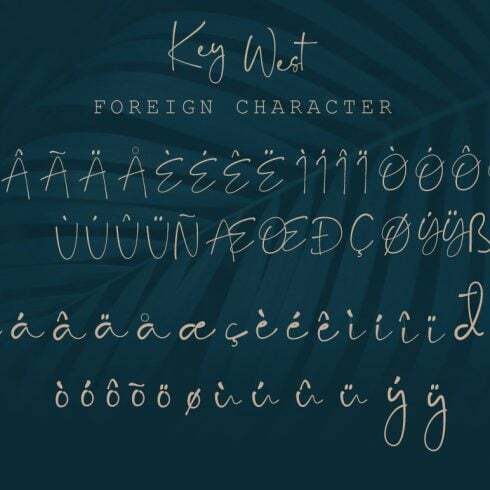 Introducing Key West Script Font: a chill, handwritten font with a handmade touch. Key West is perfect for branding projects, homeware designs, product packaging – or simply as a stylish text overlay to any background image. 1. Key West Script • A handwritten script font containing upper & lowercase characters, numerals and a large range of punctuation. 2. Ai Floral Element • This PNG florals can be use as a decoration for your greeting cards, invitation, branding or logo and more. The Definition Of Fonts and Why Are They Important? A font is a group of symbols of a certain dimension and design that creates one stylistic and structural system. The key function of any web font is to draw the audience’s interest with its form and shade and make him review the written content. A great web font helps to convey not only the written text but also a certain mood. Stylish and non-regular fonts are more effective and more recognizable, so every business tries to actively use its original one as an important element of their brand identity. The price for custom fonts typically varies from totally free to 100 dollars. The Definition Of Font Bundles and How Much Money Would They Cost? Font bundle deals are the preferred offers for successful designers. A bundle is a collection of several premium fonts. A bundle costs much less than all of these fonts on their own. Investing in a font bundle you save as much as 99%. On Masterbundles.com, one can find font deals in between $4- $50, based on the size. If you happen to look for discounts, you can save even more and grab beautiful fonts for commercial use. – Sans-serif – the symbols without dashes at the ends, which gives them a more contemporary, “clean” look and simplifies the visual comprehension of big content pieces. – Script – attractive cursive or handwritten fonts where letters are typically crossed with one another. 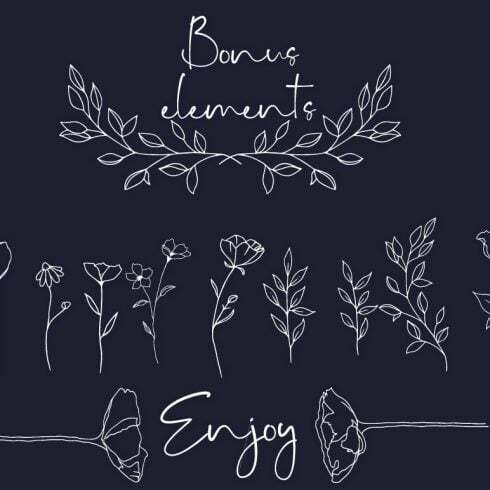 Script is great for making a stylish, fun and calm handwritten textual content. – Decorative fonts – created mainly for catching the audience’s attention or used for another specific effect or result. How Do Fonts Influence Perception of the Goods or Company? The standard of typography can help determine the way in which visitors comprehend and understand written content. Fonts make it possible to capture curiosity and establish structure. They determine the atmosphere and produce business attractiveness. Advertisers recognize that typography can create or break any visual advertisement, business logo, or brand design. Whenever one uses sloppy or generic typography, customers consider the style and design as cheap and never respond. In the event the font is hard to read, your entire original venture does not work out to reach its objectives. If perhaps you have not located the right font in this particular deal, don’t lose hope! There are actually hundreds of bundles provided by the very best graphic designers on our website. Invest time to leaf through all those bundles and you will definitely uncover the best suited bundle! It’s extremely rewarding to at last track down the deal that suits your creative and professional requirements. In addition to the font bundles, MasterBundles provides numerous great deals. Take a look at web site theme bundle deals, icons, textures, and patterns, graphic bundles. There are also e-books and tutorials, stock photos, logo designs, illustrations and add-ons, mockups, and other categories. We’ve got thematic Christmas and Valentine’s day bundles, post cards and presentations. And also, obviously, our favorite under $5 design bundles! Masterbundles is an internet marketplace. On our resource, expert graphic designers promote their designs at the best prices. We provide you with the very best design bundles on the market, and our products are highly reviewed by clients. Check out our blog, it is packed with valuable content for successful designers. Also, in case you sign up for our newsletter, you will be the first to find out about our discounts. You will always find discount coupons and promotional codes available to lower the prices to a bare minimum.